fitness-tips Diabetes Mellitus: Facts, Types, and Symptoms. Diabetes Mellitus: Facts, Types, and Symptoms. Diabetes is a serious health issue that can strike anyone, at any stage of life. Based on a few last analyses, it was noticed that the results of diabetes are dramatically increasing, across the world. It has affected approximately 380 million of the complete population.According to the latest survey by the WHO (World Health Organization), it was stated that till 2030 the number of diabetes patient will reach to its double. The number of death rates due to diabetes is more than compared to the AIDS and breast cancer. Do you know anything about Diabetes? What are the various causes and symptoms? It’s after effects? If not, then no need to worry. Read all the information mentioned-below just to resolve all your queries. Another term used by the doctors for Diabetes is referred to as diabetes mellitus. It is a serious complex condition, which can badly affect the complete body. Under this the level of blood sugar production in the body is too high, as a result of inadequate insulin production or because the body's cells are not functioning properly to insulin or both. • It's a long-term health condition that can accelerate blood sugar levels of the patient body. • According to the 2013 survey, it was found that more than 382 million people across the globe are suffering from diabetes. 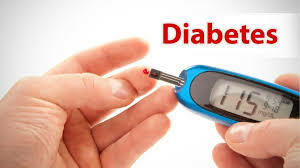 • Diabetes is mainly categories in Type 1 and Type 2 Diabetes. • During pregnancy, females can suffer from Gestational Diabetes. • If you are suffering from the Type 1 Diabetes, then your body needs to have a proper healthy eating routine. Do regular exercise and take regular insulin to lead a normal life. • The patients who are dealing with the Type 2 Diabetes need to be physically active. Remember to check the blood sugar level after a regular time frame. To control the blood glucose levels you should take the oral medication or insulin. • It can enhance the chance of cardiovascular disease. To avoid this condition, keep monitoring regularly the blood pressure and cholesterol level. • Diabetic patients should not smoke because it can accelerate the risk of cardiovascular health issues. Type 1 diabetes: The patient needs to have insulin for treatment. This disease directly destroys the pancreatic cells to stop the complete production of insulin in the body. Type 2 diabetes: This type is usually encountered in the people over the age of 45, especially who are over weighted. As a result, it starts accumulating sugar in the bloodstream. Mostly diagnosed in more than 30 year-old-people. Many encounters of low blood sugar level (hypoglycemia) which are common. No encounters of low blood sugar level, except the person who are taking certain diabetes medicines or insulin. It can’t be prevented completely. To some extent, it can be prevented or limit with an adoption of a healthy lifestyle that includes a healthy weight, healthy eating, and exercising on daily basis. Initially, it is treated without medication. Diabetes medication can be neglected sometimes. • Diabetic coma or ketoacidosis. • Diabetic coma or ketoacidosis, Because of the occurrence of high blood sugar. • Feeling of more thirst and hunger as compared to normal days. • Sudden excess loss of weight. • Increase the feeling of thirst. • Encounter more cramps in the leg. • Need to Urinate more than usual. • Skin infection and Itching. • Accelerate the starvation mood of the body. • Unclear and poor vision. • Sudden weight loss (Type 1). • Weight gaining without any reason (Type 2). • Experiencing the Headache issue. • An occurrence of frequent gum infections. • Experiencing the Sexual dysfunction in case of males.